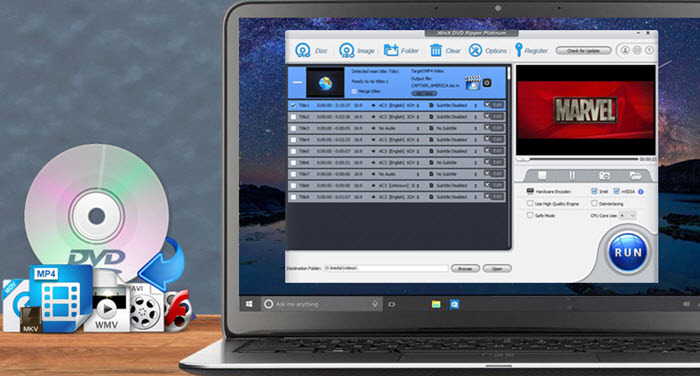 Are you looking for the best DVD ripping software which enables you to turn DVD disc to digital, or say, rip any DVD (even the latest encrypted DVD discs/ISO images) to mainstream videos (MP4, MOV, AVI, etc. ), Apple and Android devices easily and smoothly with fast DVD ripping speed? This article has collected and compared three popular DVD ripping software in the market, namely, WinX DVD Ripper Platinum, Handbrake and Aimersoft DVD Ripper. These DVD rippers have good performance in DVD ripping on a wide range of operating systems, including Windows 10, Windows 8/8.1/7 (32 & 64 bit), macOS Mojave, (High) Sierra, El Capitan, Yosemite, etc. They are clean, safe and user friendly. But they do have differences. You can check the side-by-side comparison and review below to understand their respective advantages and disadvantages, similarities and differences, and then make a further informed decision - which DVD ripping software is best for you. Here, we have concluded the advantages and disadvantages of these three DVD ripper software for your reference, to help you decide which one is best suitable for you. * Rip DVD movie to MP4 at 300-500 FPS, accelerated by utilizing Intel CPU, Nvidia GPU, Multi-core CPU & Hyper-threading. It uniquely acheives hardware encoding, decoding and processing. Also convert DVD to digital AVI, WMV, MPEG, H.264, HEVC, FLV, MOV, M2TS, etc. * Four DVD Backup modes to 1:1 clone DVD to ISO image, clone DVD to VIDEO_TS folder, and copy full title/main title content to MPEG2 within only 5 minutes. * Continuously update to support the latest DVD copy protections including CSS encryption, region code, Sony ARccOS, UOPs, RCE, Disney X-project, etc. With free life-time upgrades, you can convert and backup any new DVDs at any time. * Support ripping DVD to iPad Air/iPad Pro/iPad mini, iPhone XS/XS Max/XR/X/8/7/6S/6 (Plus included), Android and more latest and upcoming portable devices. * To avoid any kind of problems during the process of DVD ripping, it offers you "Safe Mode" to ensure the whole conversion work more smoothly. * With High Quality Engine and "Yadif Double Frames" De-interlacing Engine, This top DVD ripping software enables users to rip and convert DVD video with best video/audio quality. * New hardware acceleration tech Intel QSV and NVIDIA (CUDA) NVENC and Multi-core CPU supported, which makes DVD conversion process No.1 fast, namely, about 5 minutes. 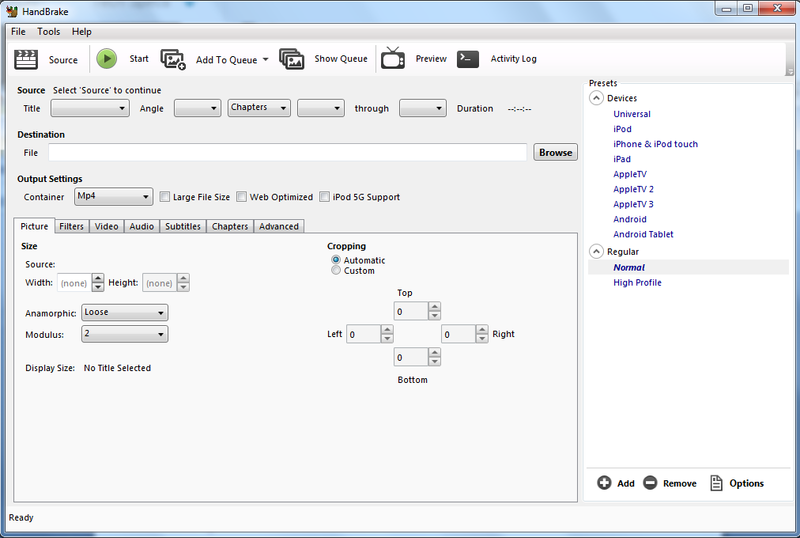 * All video/audio parameters are adjustable for users to optimize output quality. * Crop and cut off unwanted area of DVD video, and trim any segment of DVD to convert. * Handbrake is free, open source, multiplatform DVD ripping software and video converter, for Windows, Linux or macOS. * Handbrake is more suitable for advanced users and for part of Apple users. However, if you are not so professional in DVD ripping, WinX DVD Ripper may suit you better. * Advanced Video Filters: Editing video files becomes a very simple task with HandBrake's fully loaded video filters. Users can easily de-interlace, de-comb, de-telecine, and de-block their video files using the software. Cropping, scaling and gray-scaling are allowed as well. * It does not support decryption, and needs third-party software like VLC to help remove copy-protection from commercial DVDs. Handbrake cannot rip DVD with 99 titles. * Handbrake isn't updated often. Its presets are often out of date. Also, Handbrake only uses three codecs: H.265, H.264 and MPEG4 (which are very similar). * The converted video and audio are often out of sync, especially when ripping DVD movies. For instance, the audio is several seconds after the corresponding part of the video and you cannot bear to watch the video. This top DVD ripping software lets you convert DVDs locked by CSS, Region, RCE, Sony ARccOS and PuppetLock, without any barriers. * It uses your Nvidia GPU instead of your computer's main CPU. This means that you can still perform other computer related activities with the DVD ripping in the background. * It can convert DVD to many popular formats with ease. * Convert 6X faster and keep excellent video quality. * Edit and touch up DVD movies as you like. * Search and embed DVD movie information. * It can add watermarks. Add both text and image watermarks. All watermarks are editable. * It cannot perform a straight rip of raw DVD files such as the ISO or the Video_TS folder. * It's not frequently updated and hasn't been updated for a long time. * Many new profiles like iPhone XS/XS Max/XR, 8/8 Plus, Samsung Galaxy S9/S8, Note 9/8 are not included. Apart from checking the advantages and disadvantages of 3 best DVD ripping software, you can further check the similiraties and differences of the top 3 DVD ripping software to pick out the best one for you. Audio, Common video formats, HD video formats, Online video, Image. Support 1:1 full DVD disc to ISO image clone; Clone DVD to VIDEO_TS folder and Copy Full Title/Main Content to MPEG2 within only 5 minute. Audio, Common video formats, HD video formats, Online video, Image. In addition to compare input and output supported, this article also make comparisons for main DVD ripping and copy features, video editing features, and complete basic information of the recommended best DVD ripper software. Yes, can select the Title/Chapter manually, but cannot auto detect the right DVD main title and it always chooses the wrong title. Yes. Allow users to merge all titles and convert as a digital file in correct order. No. If you have a source with multiple titles, you can only encode these titles one by one; You can also queue these up using the "Add to Queue" button. Alternatively, you can simply press the "Start" button to begin encoding. This will encode your current job, and also work through any items sitting on the Queue. Yes. Easily extract audio to MP3, M4A, WMA, AC3, OGG and much more. There are only two options for you to preset the operation after the conversion process finished. There are more than 7 options for you to preset. Yes. Support grabbing screenshot from DVD video to PNG. According to above information, WinX DVD Ripper Platinum has big obvious advantages over the free DVD ripping software Handbrake in terms of DVD title detecting and merging. Handbrake always selects wrong DVD title to convert and delivers output file out of order. Furthermore, it could not merge all titles into one output file. It can only encode these titles one by one, which is badly inconvenient for users. Yes. You can add Visual Effects to Adjust brightness, contrast, saturation or apply artistic effects. It is evident that all the three software supply many advanced editing features, but WinX DVD Ripper Platinum is more superior. This DVD ripping software provides us Safe Mode which can skip the problems and finish the whole conversion process more smoothly so as to avoid any kind of problems during conversion process; and the High Quality Engine enables users to rip and convert DVD video with much better video/audio quality. On the contrary, Handbrake sometimes runs into crashed problem before finish and always outputs video and audio out of Sync. Windows 10, Windows 8/8.1, Windows 7, Vista, XP, Windows 98, NT, 2000, 2003. Mac version is also available. Customize, at most 8. Multi-core CPU supported, which makes your DVD conversion process much faster. Support Intel QSV, AMD, and NVIDIA (CUDA) NVENC based hardware acceleration. With the NVIDIA CUDA technology, the conversion is processed on NVIDIA's GPU instead of your computer's CPU, leaving more of your CPU available to handle other applications. From stated above, we can see that comparing with the other two best DVD ripping software, WinX DVD Ripper Platinum supported more languages. That is to say, it is available for more users. Plus, DVD ripping process is so simple only in three steps. Most importantly, it could bypass all DVD copy & region protections to help decrypt and rip the latest protected DVDs like Zootopia DVD. Most of all, it can rip a DVD at lightning speed, with support for multi-core processors, hyper-threading and Intel QSV and NVIDIA (CUDA) NVENC GPU hardware acceleration. It can convert DVD to the popular MP4 (H.264) format at speed of up to 300-500 frames per second. That's three to five times faster than many rival DVD ripping programs, such as Handbrake, running under the same conditions. 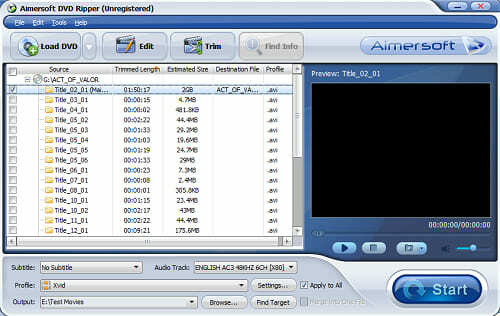 In a word, WinX DVD Ripper Platinum is much faster, effective and user-friendly. After comparing all of these best three DVD ripping software, you can easily see that WinX DVD Ripper Platinum is your best choice, due to its powerful DVD ripping and copy abilities, high-level and unique technologies, and advanced video editing features, fast DVD ripping speed, ability to bypass all copy & region protections, unmatchable output video audio quality, etc. I believe from the above you could find out this is where the WinX DVD ripper Platinum stands out from the crowd and you deserve to own it. Enable you to easily rip almost any DVD (incl. copy-protected DVD) to MP4, AVI, WMV, H.264, HEVC, MPEG, MOV, iPhone XS/XS Max/XR/X, 8/8 Plus, 7/7 Plus, iPhone 6S/6 Plus, iPad Pro/Air/Mini, Android/Microsoft tablets, smartphones etc. with highest quality at fastest speed. Powered by Intel QSV, Nvidia CUDA/NVENC, AMD hardware acceleration.